University of Toronto (UofT) Department of Civil Engineering professor and Construction Canada author, R. Douglas Hooton, PhD, has been honoured with the Frank E. Richart Award from ASTM International. A member since 1981, Hooton was awarded for his contributions to ASTM International Committee C09 on Concrete and Concrete Aggregates. A preliminary investigation by Canada Border Services Agency (CBSA) has addressed the influx of low-cost, subsidized, Chinese piling pipe into Canada. Photo courtesy Atlas Tube. Last month, Canada Border Services Agency (CBSA) determined provisional duties will now be applied to subsidized piling pipe imported from China. 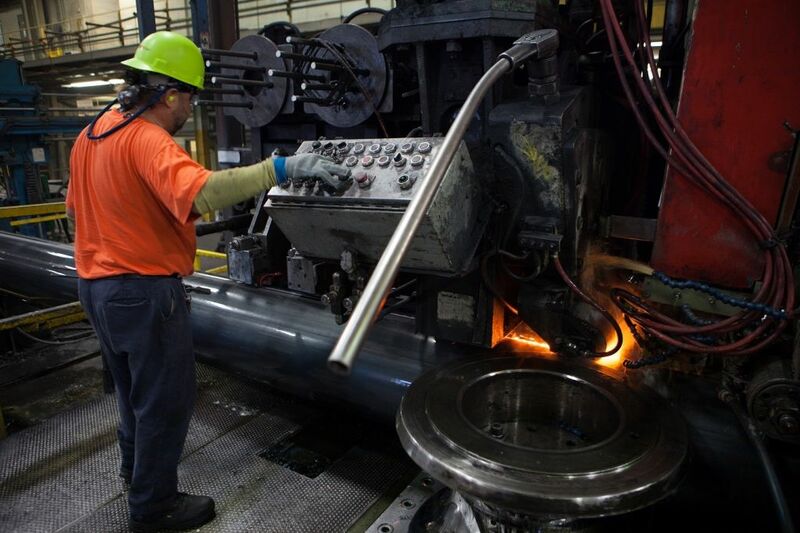 Atlas Tube, a piling pipe producer in Ontario, filed a complaint with the Canadian government earlier this year regarding the influx of low-priced Chinese carbon and alloy steel pipe into the western provinces. The primary investigation determined the dumping margins of the piping product range from 78.4 to 96.2 per cent, with additional import subsidy amounts ranging from 8.2 to 13.9 per cent. One outcome of the investigation is it will level the playing field by ending the subsidization of Chinese piling pipe, David Seeger, president of JMC Steel Group, told Construction Canada Online. The duties suggested by CBSA will be finalized following Canadian International Trade Tribunal (CITT) confirmation the imports are threatening domestic pipe production and jobs. “The effect of massive volumes of unfairly priced Chinese pipe seriously injures domestic producers and has longer-term negative effects on production and employment,” said Seeger.